Healthy Recipes | Eat Well. Be Well. About Eat Well. Be Well. This dressing is from the Greek Quinoa Salad recipe that I posted a couple of weeks ago. 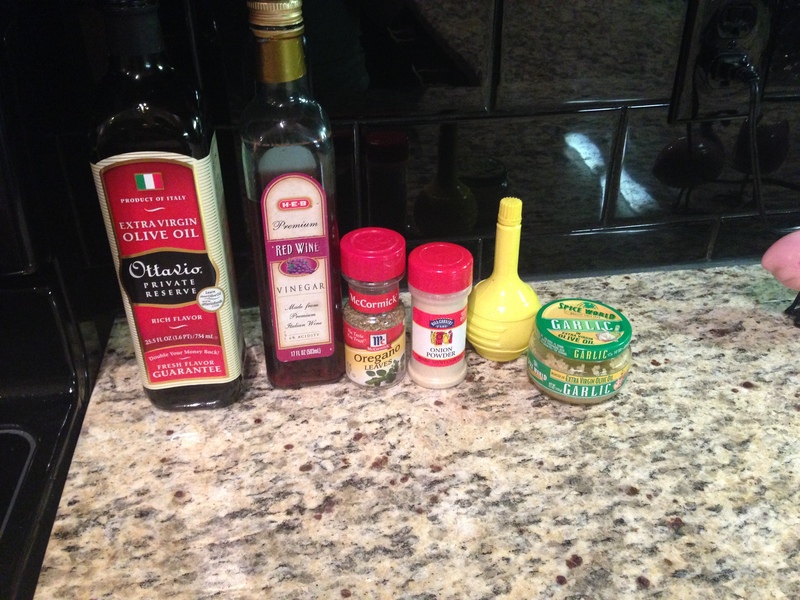 This is the Greek dressing that I use for the week 3 meal plan! Combine all ingredients and mix well. Enjoy! 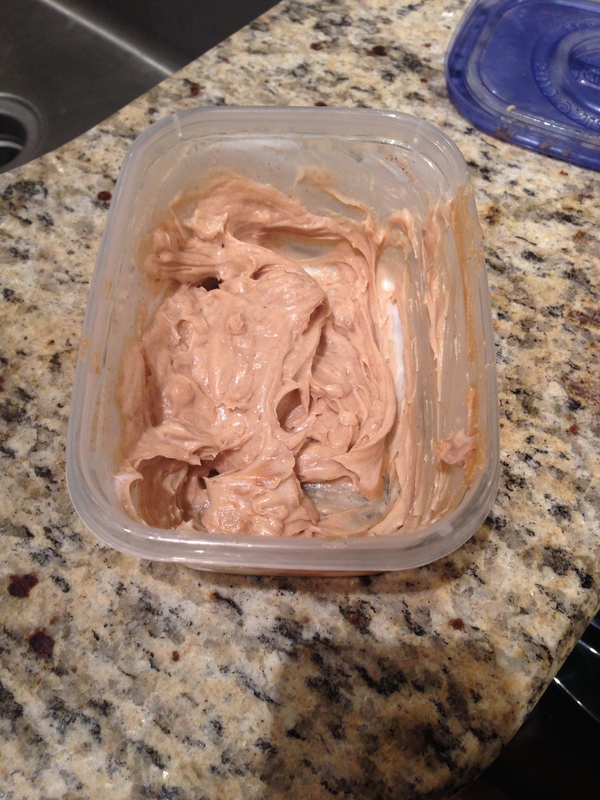 I got this amazing peanut butter and yogurt recipe from a really awesome pediatric dietitian at Dell Children’s Medical Center. It is a great healthy dip recipe that you can eat with apples or carrots! It’s only three ingredients and is very simple to make! Mix all ingredients well and ENJOY! 2. 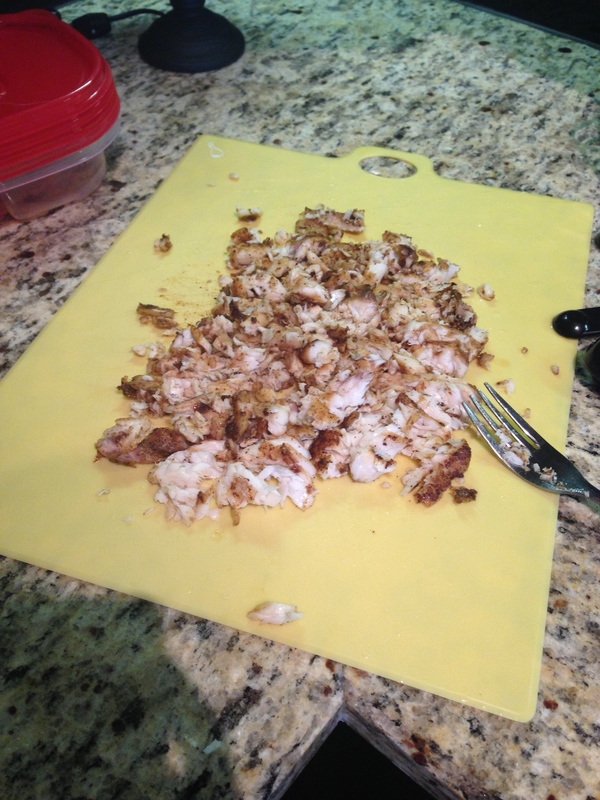 Cut the chicken breasts into chunks. You can cook them whole too but chunks cook faster. Season chicken with the cayenne pepper, cumin, and chili powder. 3. Add chicken to the skillet and let it cook. Then squeeze the lime juice over the chicken. Continue to let the chicken cook. 4. 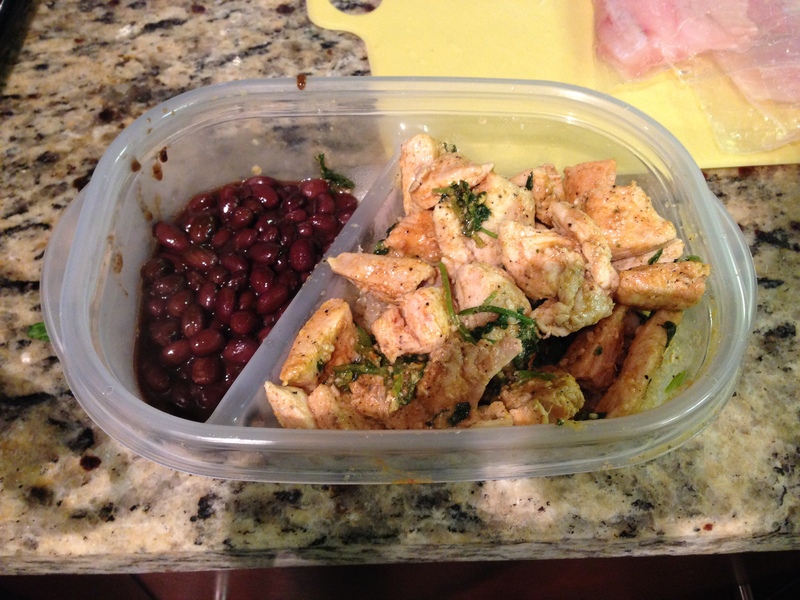 Once the chicken is almost thoroughly cooked, add the chopped cilantro on top of the chicken and mix it around. 5. To serve, layer brown rice and top with the cilantro lime chicken. Add a little more lime juice and cilantro if desired. 2. In a small bowl mix the cayenne pepper, cumin, and chili powder. 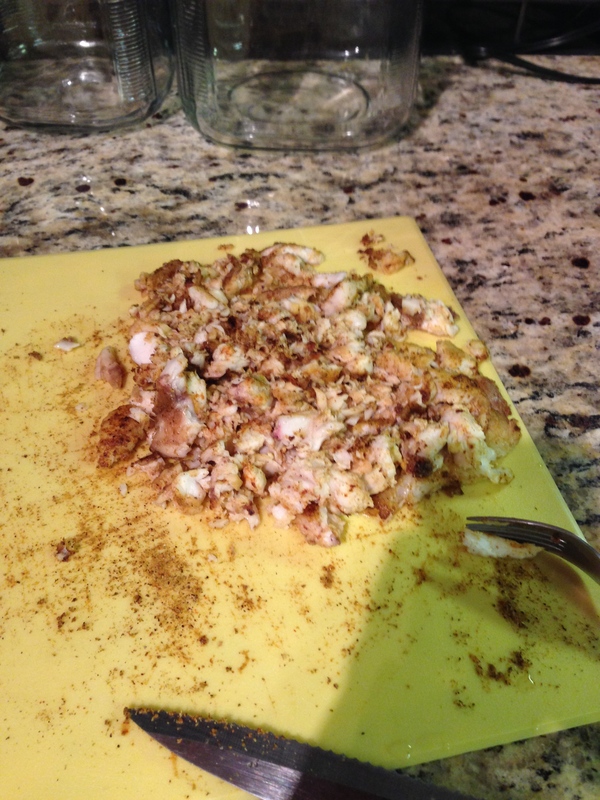 Rub the seasoned mix all over the tilapia filets. 3. Heat the olive oil in a skillet on medium heat. Add the tilapia to the skillet and let the fish cook thoroughly throughout. Once cooked, remove the tilapia from the skillet and shred it with a fork. 4. In the same skillet, add the garlic, corn and red pepper. Stir and cook until the corn is brown and looks roasted. Then add the black beans until they are warm. 5. 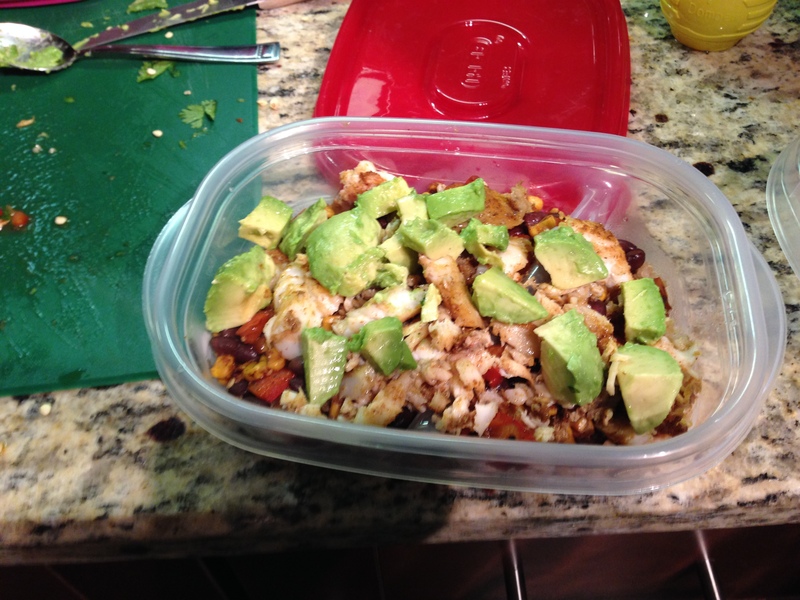 To make your bowl, layer the brown rice, corn/bean mixture, tilapia, then add some avocado slices on top. Squeeze some lemon juice over the top. 1. 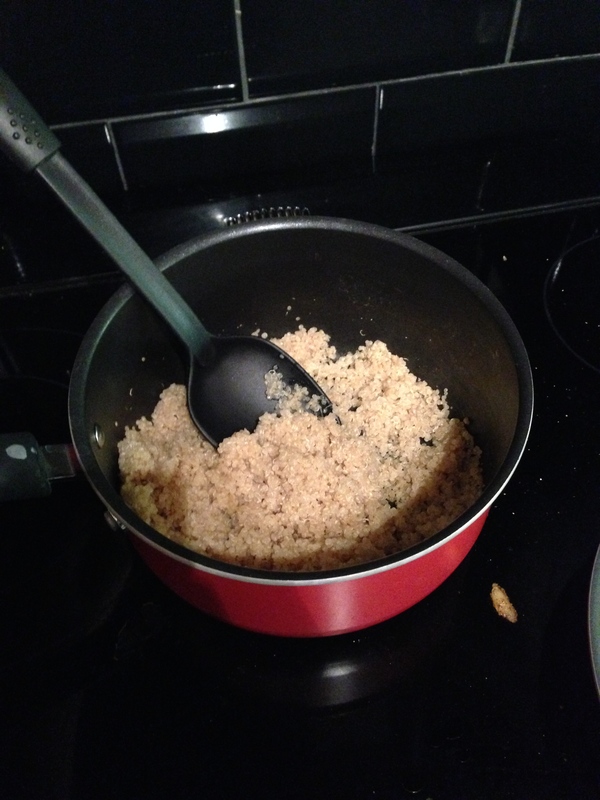 Toast quinoa in a pot on medium heat for about 2-3 minutes. 2. Pour in vegetable broth and bring it to a boil. 3. Turn down heat, cover, and let it simmer for about 15-2o minutes. 4. 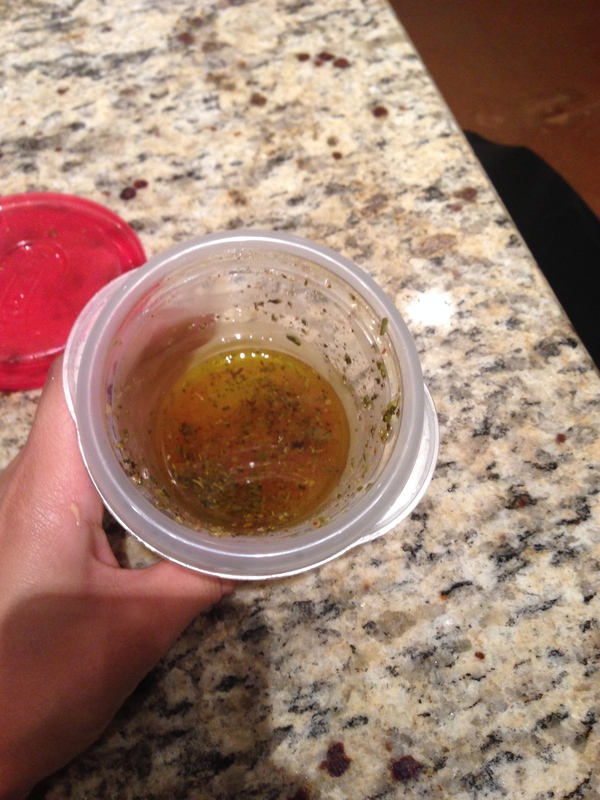 In a small container, add olive oil, vinegar, lemon juice, garlic, onion powder, oregano, and salt and pepper. Then shake the mixture well. This is your Greek dressing. 5. Place chopped tomatoes, cucumber, olives, feta cheese, pepper, and onion in the quinoa bowl. 6. Pour in the desired amount of dressing and toss with a spoon. (Be careful with how much you add to avoid having a watery meal). 7. You can either eat it immediately or store it in the fridge for later! Sprinkle cayenne pepper, ground cumin, red pepper flakes, and salt to taste. Bake in oven for 5 minutes then turn them over and bake another 5 minutes. Cooking temperature may vary depending on your oven so to be on the safe side, I would keep an eye on your kale chips. 8. Enjoy! They are seriously so good and addicting! While searching for new recipe ideas for my meal prep plans, I stumbled upon a ton of mashed cauliflower recipes. To be honest, mashed cauliflower did not sound good to me at all, but I have heard a lot of good things about it and still thought I should give it a try. So I found a recipe on Pinterest which was linked to a website called Fueling With Food. I tried out the recipe, and OH MY GOODNESS… the mashed cauliflower tasted great! It looked just like mashed potatoes and nearly tasted like them too! I encourage you all to try them out for yourself. You will not regret it! Cook cauliflower in boiling water for 6 minutes or until tender. Add the cream cheese, sour cream, and skim milk to the cauliflower and place into a food processor or blender. Blend mix until you have a smooth consistency. Place into bowl then mix the seasonings in. Season garlic powder, onion powder, salt, and pepper to taste. I used to work at a local healthy food store called Mel’s Meals. It’s a very similar concept to Snap Kitchen and My Fit Foods. I tried nearly every meal there and one of my favorites was Mel’s turkey burger! Inspired by this burger, I decided to change it up a little bit and created my own turkey burger. They are so simple to make too! 1. In a bowl, mix feta cheese, Serrano peppers, ground turkey, garlic, seasoning, oregano, and pepper. 2. Shape patty mix into four small patties. 3. Grill patties on a skillet on medium heat or cook on a George Foreman until meat is cooked thoroughly. -If you have time at home, add some yummy toppings like sautéed onions, mushrooms, lettuce, tomato and/or avocado slices. -If you are cooking this meal for your meal plan, keep burger buns on the side and make sure to pack some ketchup or mustard in a small container. 1. Combine all ingredients into blender or bullet mixer. One of my sweet roommate’s makes an amazing and healthy salsa! It is a very simple salsa recipe that would be great to add to some of your meals to incorporate more vegetables and flavor! 1. Add all ingredients into a blender and blend until your preferred salsa consistency. At the company I work for, I put together activities and cooking demonstrations for our employees during National Nutrition Month this March. Every Monday we had a “Meatless Monday” lunch that was sold to employees. I found a quinoa salad recipe and decided to add a little twist to it. We called them Southwestern Quinoa Wraps. Below is the recipe for these wraps! The picture was taken at work and was accented with yummy fruit put together by one of our cooks! Cook quinoa and pour into a large bowl. 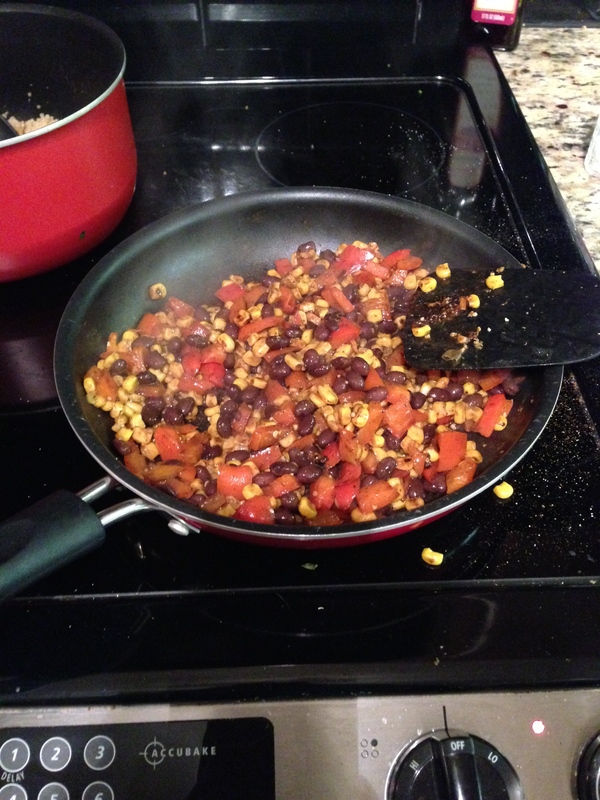 Drain liquid from corn, black beans, and rotel. Pour all ingredients into the bowl and mix. 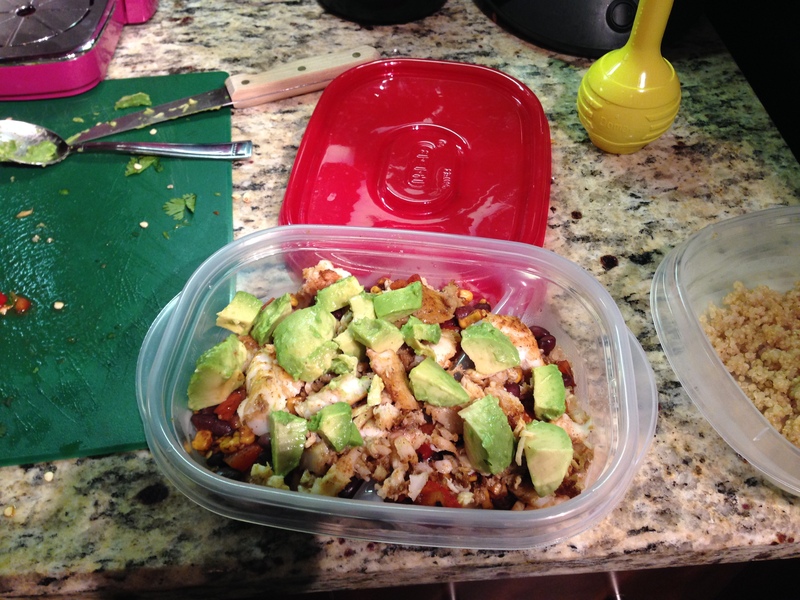 Scoop southwestern quinoa mix into tortilla and wrap tortilla. 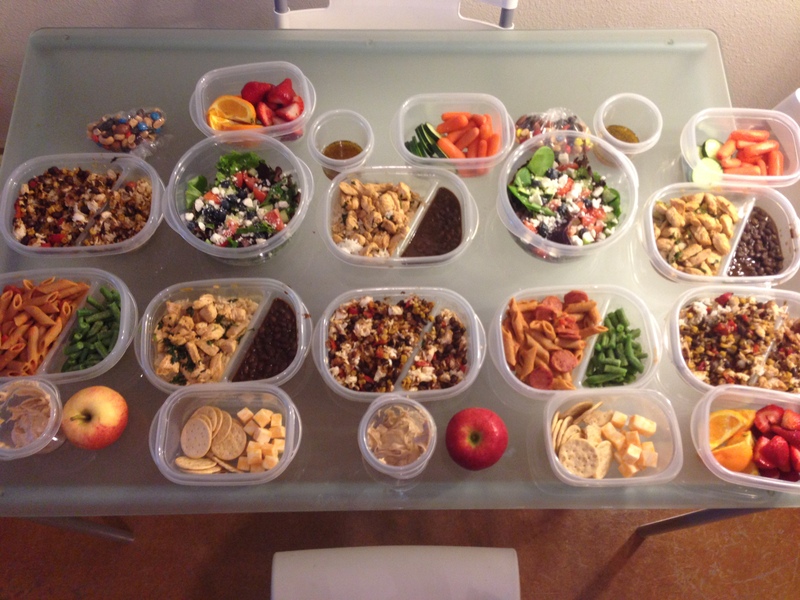 Pingback: Meal Prep Plan Week 3 | Eat Well. Be Well. Definitely going to use some of this! Looks so yummy! Let me know how it goes! Glad you see some meals you like! Squish to Fit --> From pudgy to POWerful!